SUMMERVILLE, S.C. -- SCRA, a public, non-profit corporation chartered to grow South Carolina's Innovation Economy and foster job creation, today announced the appointment of Jonathan Zucker to the SCRA Board of Trustees' Executive Committee. The nine-member group is comprised of the Presidents of Clemson University, The Medical University of South Carolina and the University of South Carolina, the Governor or designee (to serve as Chairman), an additional appointee of the Governor, the Chairman of the House Ways and Means Committee or designee, the Chairman of the Senate Finance Committee or designee and two additional members. Mr. Zucker is the President at The InterTech Group, a diversified holding company with operating companies and portfolio investments in diverse industry sectors. Zucker is also the President of Z-Man Fishing Products, the world's premier fishing products, lure and accessory manufacturer. He received his Master of Business Administration with highest honors from The Citadel and his Bachelor of Science in Management and Information Systems with high honors from the Georgia Institute of Technology. He also received an honorary Doctor of Commerce degree from his alma mater, The Citadel. "I am excited to welcome Mr. Zucker to SCRA's Executive Committee," said Don Herriott, Chairman of the SCRA Board. 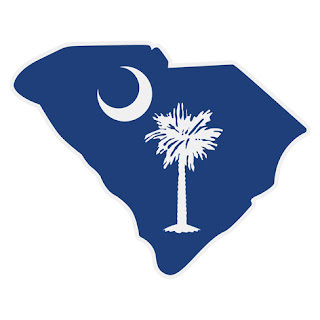 "His extensive business and investment experience has impacted South Carolina tremendously and makes him a valuable addition to the governing body of SCRA." The SCRA Board of Trustees is drawn from leading corporate, government, academic and economic development organizations. The Executive Committee represents the voting arm of the Board, while the larger Board of Trustees has an advisory role and counsels the Executive Committee of the actions recommended by the Board, thereby ensuring that SCRA effectively executes its mission. Chartered in 1983 by the State of South Carolina as a public, non-profit corporation, SCRA fosters South Carolina's Innovation Economy by supporting entrepreneurs, enabling academic research and its commercialization, and connecting industry to innovators.